Many of the fossils found in Richmond are among the best preserved of their kind in the world. 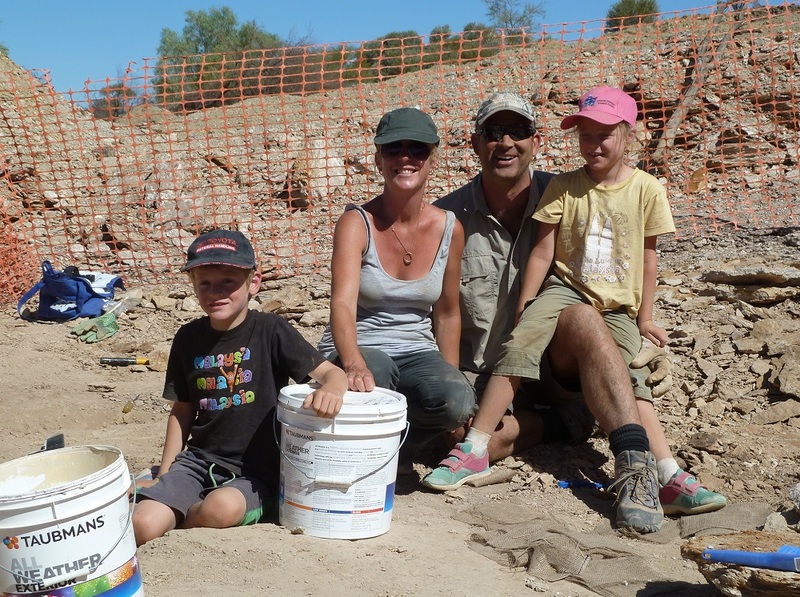 The chance to find such treasures enthrals both hobbyists and professional palaeontologists alike. 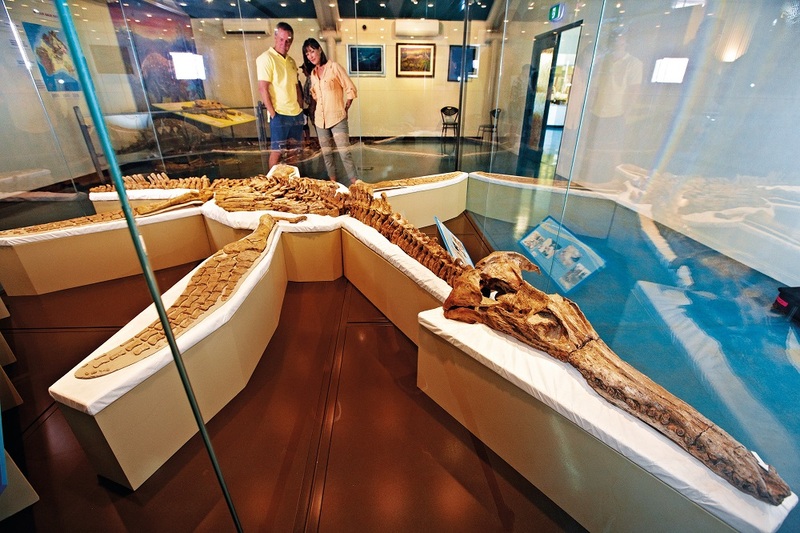 We offer the opportunity for guests at Kronosaurus Korner to find fossils themselves by visiting our Fossil Hunting Sites. 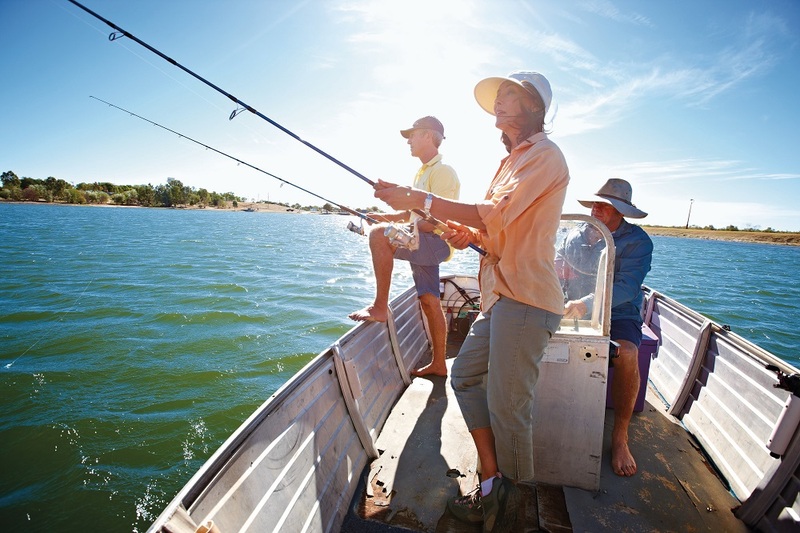 The Fossil Hunting Sites are located 12 kilometres North of Richmond, Outback Queensland and are accessible to all vehicles via fully sealed roads. The easiest route from Kronosaurus Korner to the Fossil Hunting Sites follows Goldring Street (the main street of Richmond) to the North. Outside of the township, the route continues as Goldring Street, becomes the Richmond Woolgar Road. The signed entrances of both sites are present on the Richmond Woolgar Road. Permits and Fossil Hunting Guides are available from Kronosaurus Korner. Camping is strictly prohibited at the Fossil Hunting Sites. The Richmond War Memorial is located at the Jack Browns Lion on the Flinders Highway. The Richmond War Memorial is a unique design, replacing previous Memorial fountain, as the main memorial in Richmond. Symbolising a stylisation of three rifles marking the graves of three ANZAC soldiers who lost their lives at the battle fo the Somme, France in the Great War. Original wooden crosses on the battlefields were made from artillery shell and ammunition boxes. To signify this fact, the centre of the memorial constitutes a steel cross that extends beyond the uprights. Dedicated on the 25th April 2001. 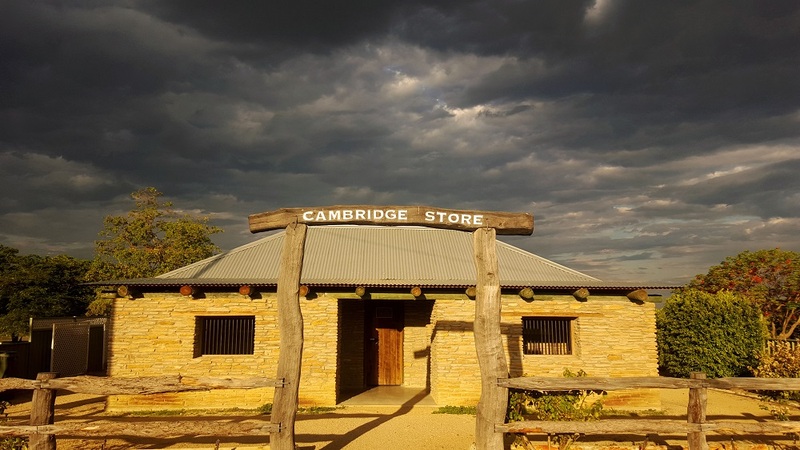 Entrenched in a deep history from the days of wool and gold, the Pioneer Cemetery located on Flinders Highway in Richmond, gives visitors an insight to the hardships faced by the pioneers of time. The cemetery contains graves dating between 1886 and 1921. Some of the reasons that there are more than 300 people buried in the early cemetery are mining accidents, fires, murders, child birth and general hardship. Unfortunately, only about 30 or so headstones remain from around 300 burials. Where possible, broken segments have been reassembled and laid flat, others have been repaired and remounted. Brass plaques have been erected listing all known burials in the Pioneer Cemetery. Hats and closed in foot wear are advisable. Booking are recommended and can be made at Kronosaurus Korner (07) 4741 3429 or Lakeview Caravan Park (07) 4741 3772.